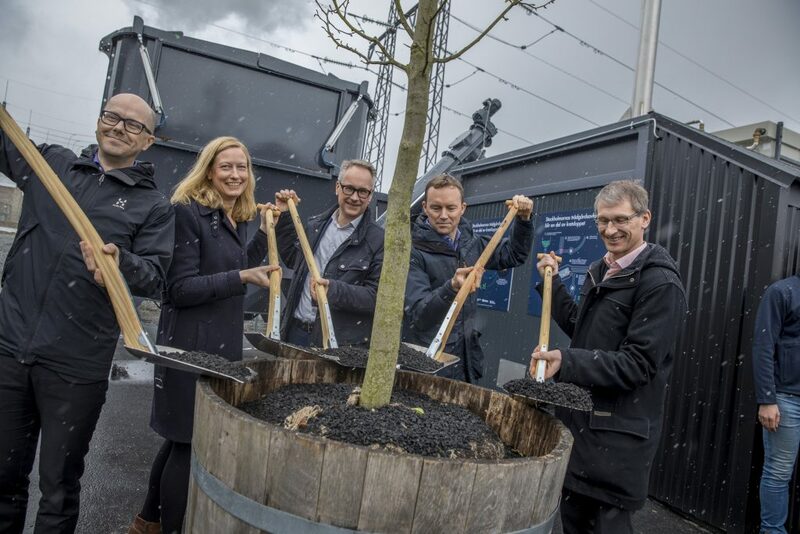 This morning, Stockholm, Sweden celebrated the opening of an innovative new biochar facility that will work wonders in the city’s effort to fight climate change. A first-of-its-kind project, the facility turns plant waste from parks and homes – everything from grass clippings to trees and limbs – into carbon-capturing charcoal that residents can then use in their window boxes and gardens to promote plant growth. 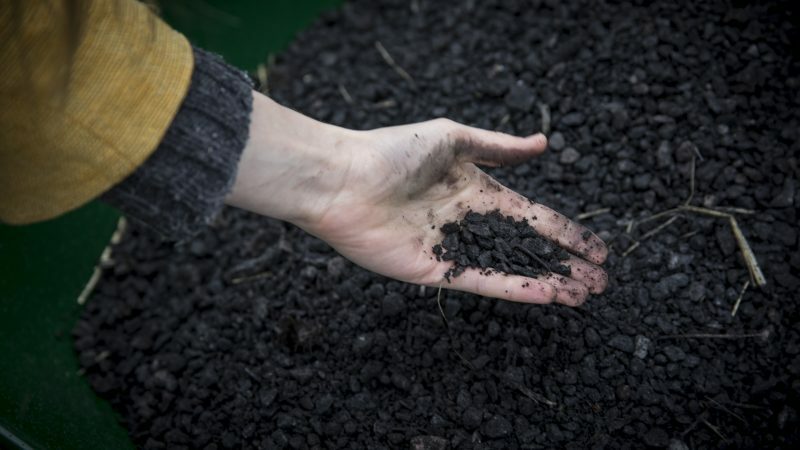 Biochar is a powerful soil conditioner, it decreases carbon-dioxide levels in the atmosphere and, through its production, it will even create enough energy to provide heat and hot water for more than 80 apartments in the city. The facility opened today is the first of five planned as part of the Stockholm Biochar Project, a Bloomberg Philanthropies’ Mayors Challenge winning entry from 2014. Together, the five plants are expected to produce 7,000 tons of biochar over the next three years – sequestering enough carbon to take the equivalent of 3,500 cars off Stockholm’s streets. What’s more, this project has the potential to take citizen engagement to a new and self-perpetuating level. That’s because citizens won’t only contribute to the process (as they traditionally have with recycling), they will also reap the benefits by taking home garden-boosting biochar. We caught up with Björn Embrén, Stockholm’s tree officer and one of the originators of the Stockholm Biochar Project – who we first heard from in 2014 – on the eve of today’s ceremony. Björn, when – and why – did you first think about creating a biochar facility in Stockholm? We actually started using biochar with the city’s trees six months before we knew its name. We just thought it was simply charcoal, nothing else. It wasn’t until 2009, when I read a journal article about biochar, that I realized our “charcoal” was something special with many benefits we hadn’t ever considered. 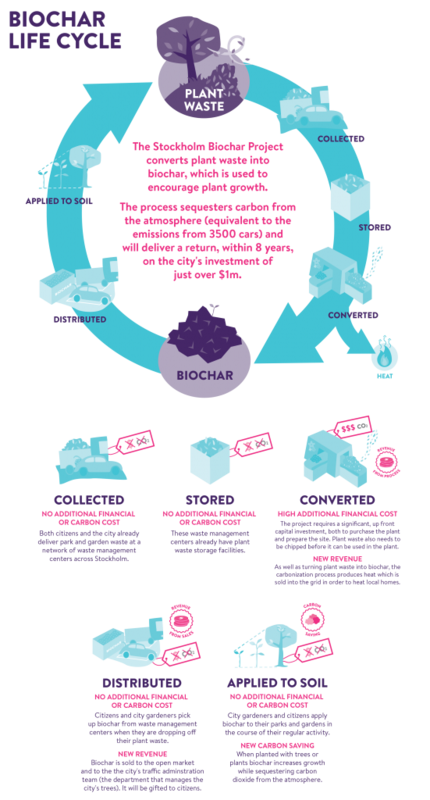 Having a name for it allowed us to learn more about biochar, both online and through academic contacts, and in 2011 we identified the potential to connect biochar with the existing recycling facilities in Stockholm. Did they jump on board immediately? Or did it take some convincing? The city bought in easily. In large part, this was because people had repeatedly seen that I could deliver on my projects, and city leaders knew that they could trust me. This trust gave me a lot of strength when I wanted to do something in Stockholm. There’s also an awareness of climate change in Stockholm, and the knowledge that every little difference can help Stockholm reach its goals regarding climate change. Now that the first biochar facility has opened, is there anything you would have done differently in getting to this point? No, despite the extreme complications, such as choosing the location for biochar production, the benefits are so great that the process was worth the hassle. Even if you have to think twice to find solutions for your challenges – and this slows down the project – the ends make it worth it. Are there any secrets to the biochar project’s success? It helps that charcoal itself is so well known. Everyone knows charcoal. In Sweden, most people remember the old way of making charcoal out of trees in the woods, and there are a lot of stories about this process. This community awareness makes it easy to connect people to the idea of biochar. Then, when you give people the extra information about how to use biochar, it’s simple for them to understand the benefits. Plus, biochar gives people hope. It’s a way that you, through your individual effort, can do something about climate change. And that’s a nice thing. Learn more details about the Stockholm Biochar Project on the Mayors Challenge site and find Stockholm’s checklist for cities interested in replicating their program here.